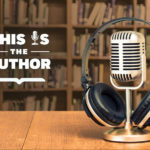 In this episode of This is the Author meet Dessa, author of My Own Devices, Kate Inglis, author of Notes for the Everlost, and Beth Comstock, author of Imagine It Forward. 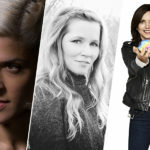 Hear the incredibly intimate and true stories of love and loss that brought each writer to the mic and find encouragement and support in facing grief and fear. Plus, discover why recording an audiobook is a delicate balance between narrator and listener.